A 140-200 seat black box style theatre with re-configurable seating arrangements which is also capable of hosting parties of up to 150 individuals at round tables. 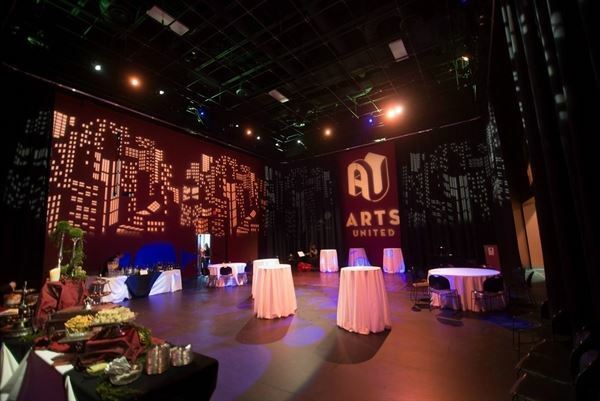 A modern venue that adds a theatrical flair to events. Wedding / Corporate Event Rates: 2 hour event	$ 500.00 3 hour event $ 600.00 4 hour event	$ 700.00 Additional hours $ 100.00/hour	Stage and Production Rentals are quoted on case by case basis.